This intriguing limpet shell was found high up on the White Shore at the western edge of Culag Wood. 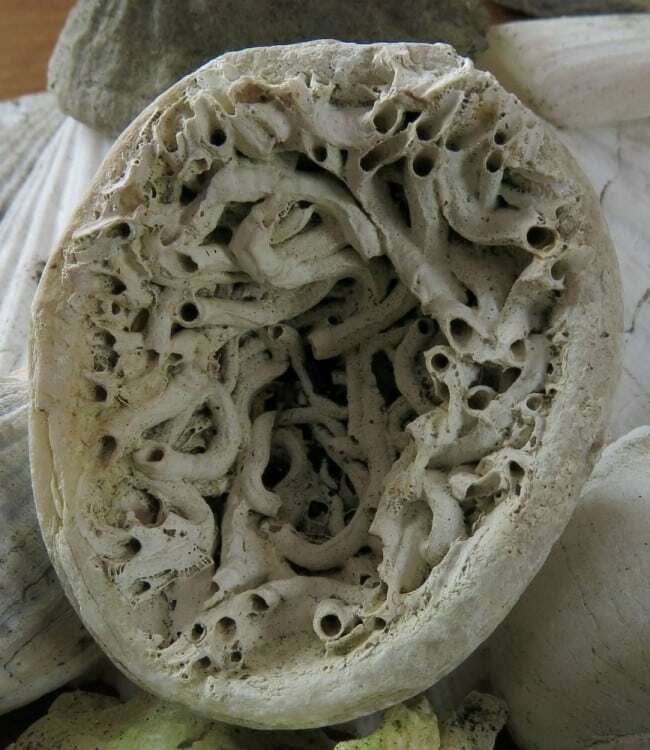 The tubes inside the shell were created by a colony of tube-dwelling polychaetes, or segmented worms. These tubes can have a variety of uses from protection for the soft bodies of the worms, to lairs for catching passing prey or to allow worms to live attached to rocks, shells and sea-weed. 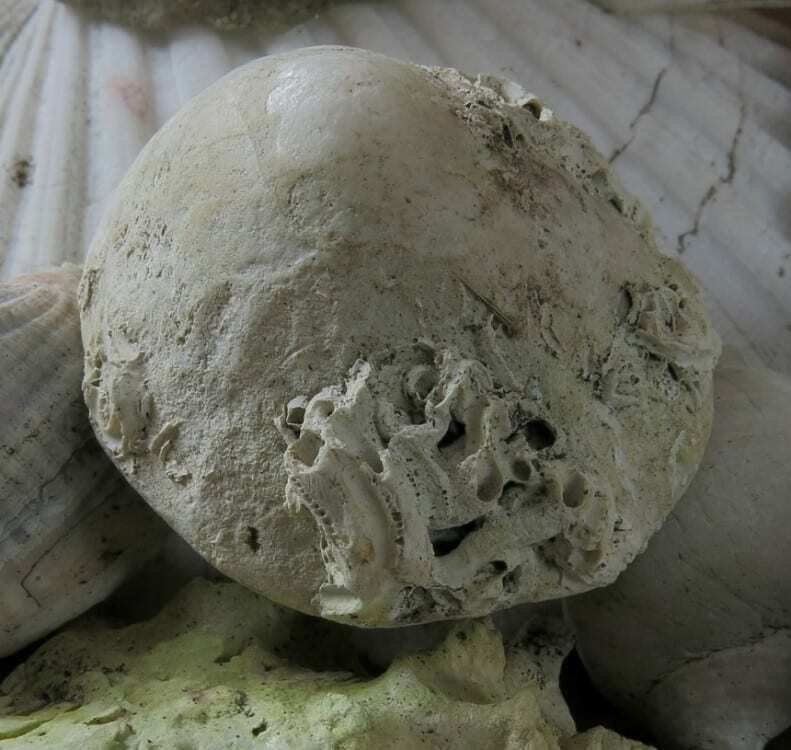 The limpet itself would have been dead before the worms colonised the inside of the shell but it is quite common to find such tubes on the outside of living limpets. There are no worms in the tubes shown as they are very sensitive to desiccation and this shell had been out of the water for quite a while.